For the weekend let’s go with this June 29, 2012 Rose is Rose strip. These days I suspect we could really use a whole lot of barefoot politicians . . . In all the time I’ve been doing these Saturday Comics, I have not repeated one. However, since today is Earth Day, I think this one deserves repeating. Oops. I forgot to put out a comic yesterday. Well, let’s just call this late-Saturday. Very-late-Saturday. This strip is from August 2, 2004, and features an old stand-by, Red and Rover. Set in the 1960s, Red goes barefoot most of the summer. If Popsicle Pete gets “popsicle toes”, I bet he drives the truck barefoot (which, of course, is completely legal). 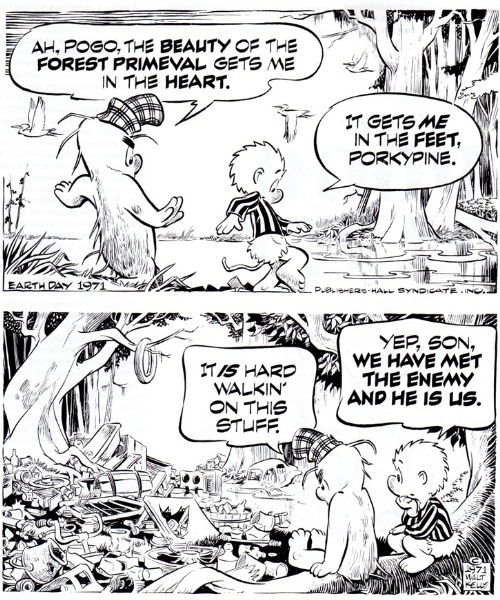 Today lets go with a strip from Frank and Ernest, which was started by Bob Thaves and is currently drawn by his son, Tom. This appeared last November 17. Aside from the comic getting the way to ride a skateboard “anatomically correct”, I think by doing so it is showing more “enlightenment” than the author intended. So, I hope you noticed that, for the first time, today’s barefoot Saturday Comic didn’t feature anything barefoot. Actually, from what I can tell, the improved circulation from going barefoot helps prevent blue lines.